My fault or your fault? 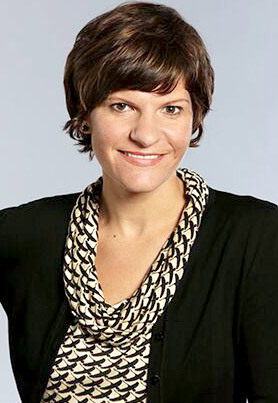 Whose fault line? 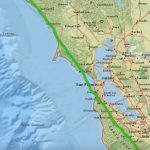 Last week, Bay Area residents experienced seven earthquakes and even a brief tsunami warning following a 7.9 earthquake in the Gulf of Alaska. 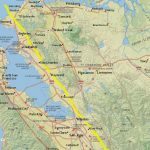 In 2014, the USGS warned that there is a 72-percent chance that “the big one,” or an earthquake of a magnitude of at least 6.7 strikes California within the next 30 years. 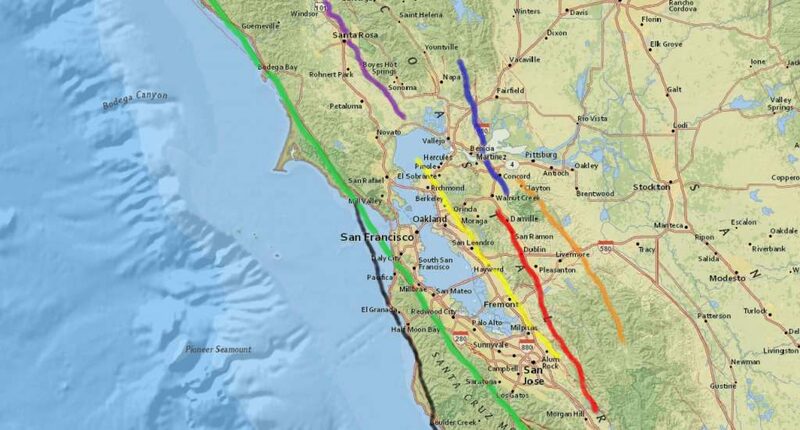 So it’s probably worth knowing where the major fault lines in the Bay Area are. 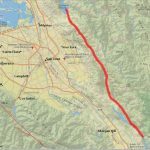 According to the USGS, there are seven “significant” faults in the Bay Area: the San Andreas Fault, the Calaveras Fault, the Hayward Fault, the Concord-Green Valley Fault, the Greenville Fault, the Rodgers Creek Fault and the San Gregorio Fault. The most significant of these faults is the San Andreas Fault, a 750-mile-long transform fault that runs across California. The largest earthquakes recorded on the San Andreas fault include the 1906 San Francisco earthquake (approximately magnitude 7.8) and the 1989 Loma Prieta earthquake (magnitude 6.9). 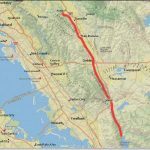 Also significant is the Hayward Fault, a 74-mile-long fault that mostly covers the East Bay. The largest earthquake in recorded history on this fault occurred in 1868, when an estimated magnitude 7.0 quake was originally dubbed the “Great San Francisco earthquake” until the one in 1906 struck. 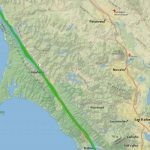 In fact, when the “big one” happens, it is more likely to happen on the Hayward Fault than it is to happen on the San Andreas Fault. 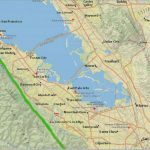 According to the USGS, there is a 33-percent chance that an earthquake of magnitude 6.7 or greater strikes on the Hayward Fault within the next 30 years. 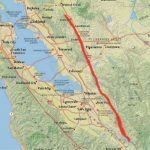 The probability of a similar quake striking the San Andreas Fault in the same time period is 22 percent. 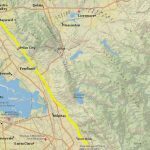 However, a quake of this magnitude would affect everyone in the Bay Area, and not just people living close to the fault line. So how far away are you from these faults? 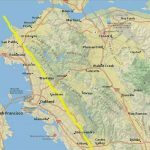 Click through the slideshow above to see where the major Bay Area faults are, as well as which cities and towns are on or near the faults.